Enhace your entertainment experience with Haier's Sound Bar. This 40”, 5.1-Channel sound bar comes with an iPod/iPad/iPhone dock so you can easily listen to your favorite audio on your favorite device. 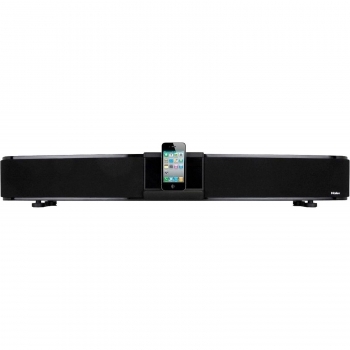 The sound bar utilizes digital amplification and digital crossover technology to maximize the capabilities of the speakers, resulting in fuller, more robust sound. It even comes with Sonic 3D Sound for a full 3D experience.